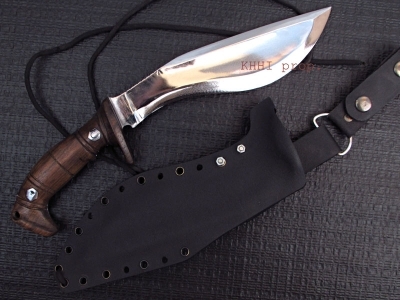 A Kukri that can practically speak for itself… With the M3K, you are prepared for anything. 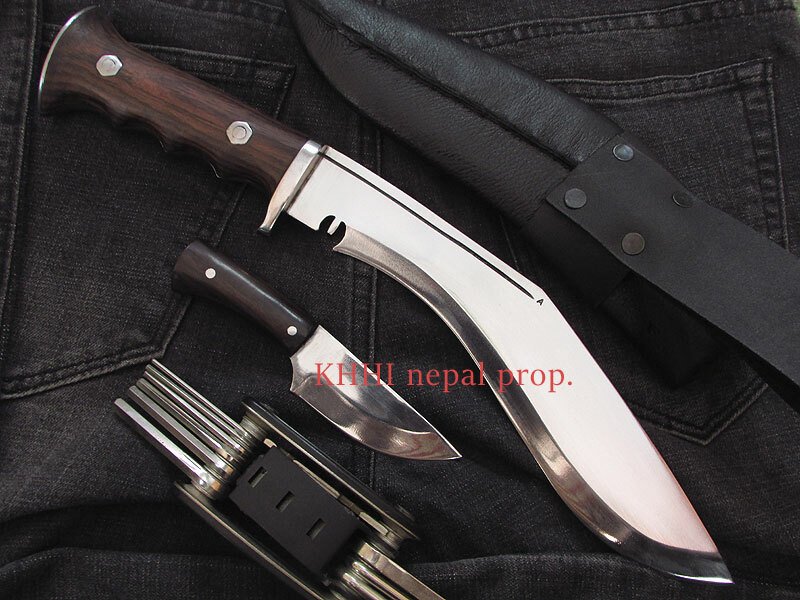 It’s a jungle friendly extra special khukuri & knife designated for all out jungle warfare and survival technique. The blade, handle and fixtures are all made in such a fashion that it would support and boost outdoor activities and tasks. 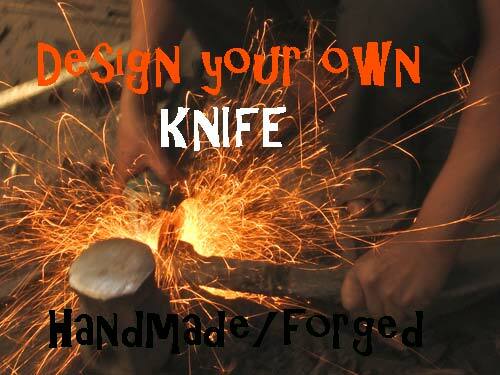 The inclusion of a special mini back up knife further makes the knife extra special and superior to its counterparts. 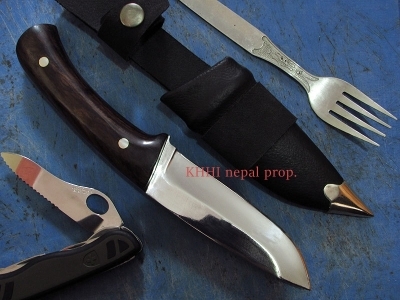 Both the mother and baby knives are very functional and would come very useful in any expected and unforeseen situation, and also in various conditions/terrains. 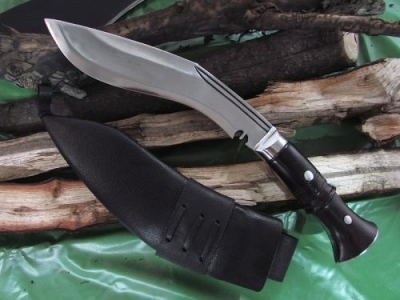 It’s a jungle-ready kukri designed for jungle operations and survival situations. 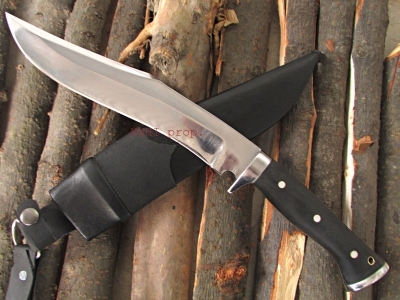 Both the Kukri and companion knives are very functional and will come very useful in any situation, in any environment. This has a 9.5" fully polished blade, to help prevent rusting & basic use as a mirror. The blade is 9.5 inches long which reduces weight, but is still big enough to take whatever the jungle decides to throw at you. 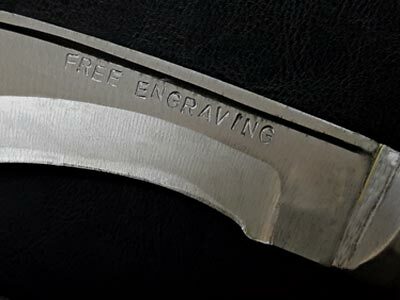 The blade has a mirror finish, to prevent rust, and can be used as a signaling mirror in an emergency. The handle is of a Hardwood (Saaj), instead of the standard fitting, it has a finger guard, also finger grips. 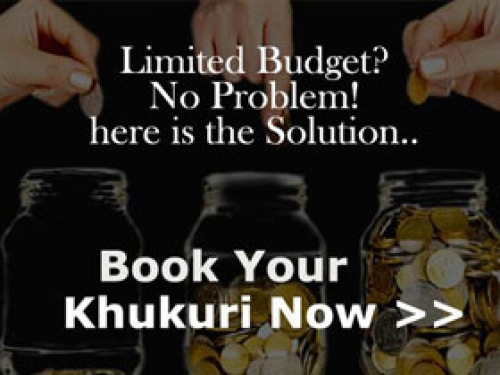 Also utilises an 'L-key' system to further strength. The handle has a finger guard for safety and contoured finger grips for comfort. The handle is secured with “L-key” nuts for added strength and durability. 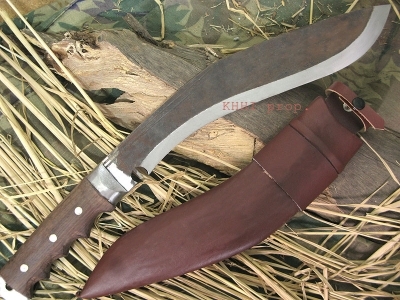 The Traditional kukri shape handle is modified for an easier and firmer grip. The scabbard is Buffalo Leather over wood. 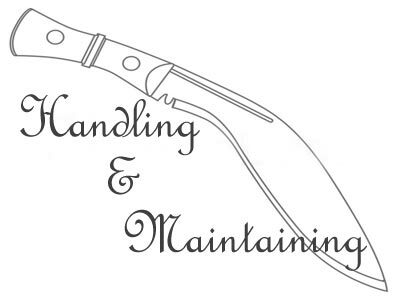 The companion knife has intain.a comfortable, full-flat tang wooden handle and can perform finer tasks that may not be possible with the mother blade. 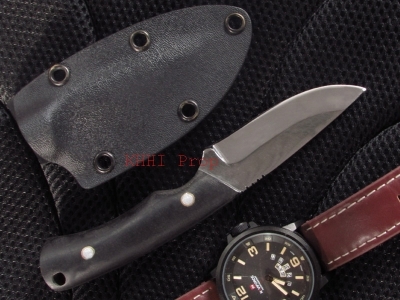 There is also a mini knife as backup with a 3" polished blade. 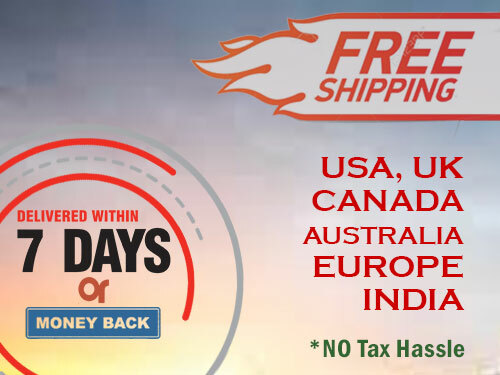 M3k is an all-purpose jungle utility knife that has the ability to tackle any situation - from good, bad, to worst case scenario; With the M3K, you are prepared for anything.